BROOKE Sheridan looks like your average tomboy and at an age where most girls listen to Justin Bieber, it is not the case with the youngster from Boyne Island. Name a sport and no doubt she would have tried it. 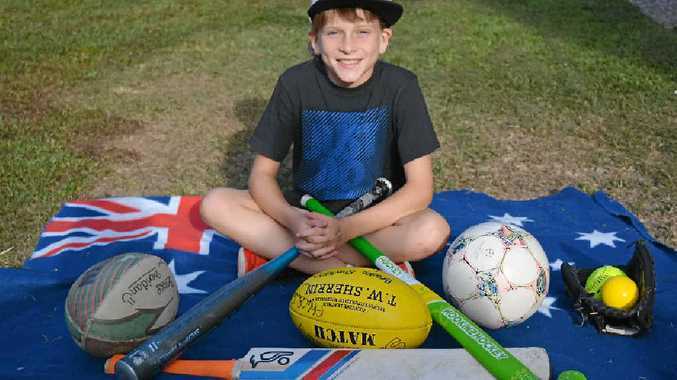 Brooke has excelled at representative level in softball, cricket, Aussie Rules, touch and soccer so much so that she has been nominated for the Australia Day Young Sportsperson of the Year. Teacher Tracey Hurst presents her another award. Her proud mum Lauraine said she also played in several different age groups. "She has played cricket for BITS in the past three years on Saturday mornings and she plays up two age groups for under-14s instead of under-11," Lauraine said. 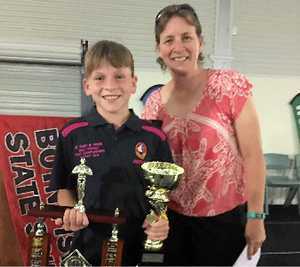 Brooke, who turned 11 in September, played in five Port Curtis rep teams and in two Capricornia teams as well as three club sports. "She also plays AFL for BITS Saints and started as a four year old," Lauraine added. Add to that, Brooke also plays in the popular Monday night Summer6 soccer competition and her mother noted that she has had an influence not just on the sporting field. Brooke Sheridan the cricketer in last year’s championships. 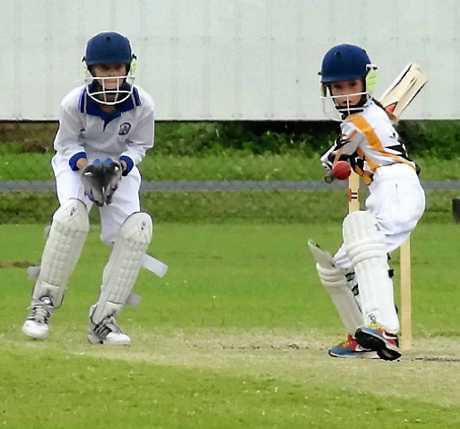 "Brooke's influence on her school mates has had many of them joining in school sports teams, trying out for Port Curtis Reals, and two of her friends have made the Cap team in cricket this year," Lauraine said. She also made the Cap cricket team in 2014 as a nine-year-old and that was the youngest age anyone had made the state trials. "She has been an inspiration and as her mother, she makes me very proud," Lauraine said. 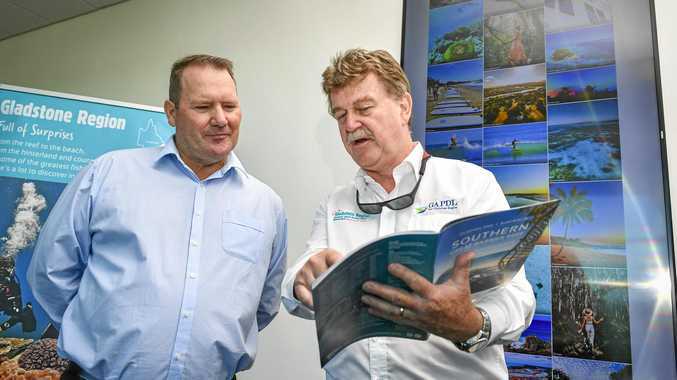 SEPT 6-7: Mackay for cricket trials. SEPT 10-16: Toowoomba for softball state trials. OCT 25-29 State cricket trials in Brisbane. What is Aussie football's greatest moment?